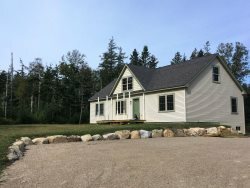 Grand Rental Station of Trenton, Maine provides equipment rental solutions for events, functions, and parties of all sizes to the Bar Harbor area. We offer a full line of items, from full-sized cribs and pack-n-plays to high chairs, strollers, car seats, toys and much, much more, and all in the trusted name brands parents desire. We offer delivery, set up and removal of your rented equipment, too, so all you need to remember when you`re packing for that next vacation is the baby! Stop by your Ellsworth Rent-A-Center to rent kids furniture, decor, appliances, electronics, computers, & more. Whether you are preparing for a dinner party, a wedding, or a complex multi-day event for thousands of people, we can help. Our goal is to provide you with the highest level of customer satisfaction and to make your event a success!